Our website is currently undergoing some changes to improve your experience! ​We are here to provide the highest quality, situation-appropriate care for patients and their owners in a compassionate, professional and respectful manner. 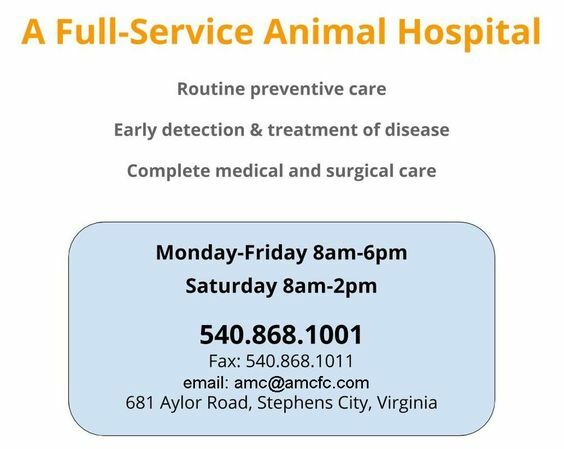 Please feel free to learn more About Us & Services we have to offer here on our official website or you are also welcome to give us a call at (540)868-1001.